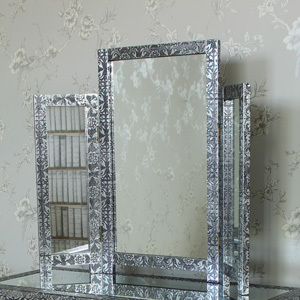 This large wall mirror is from our stunning Monique Range. 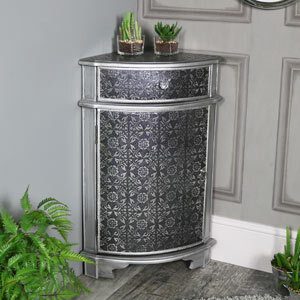 In a silver metallic, embossed design that embraces the Moroccan theme and will add a unique and elegant look to a living room or hallway. 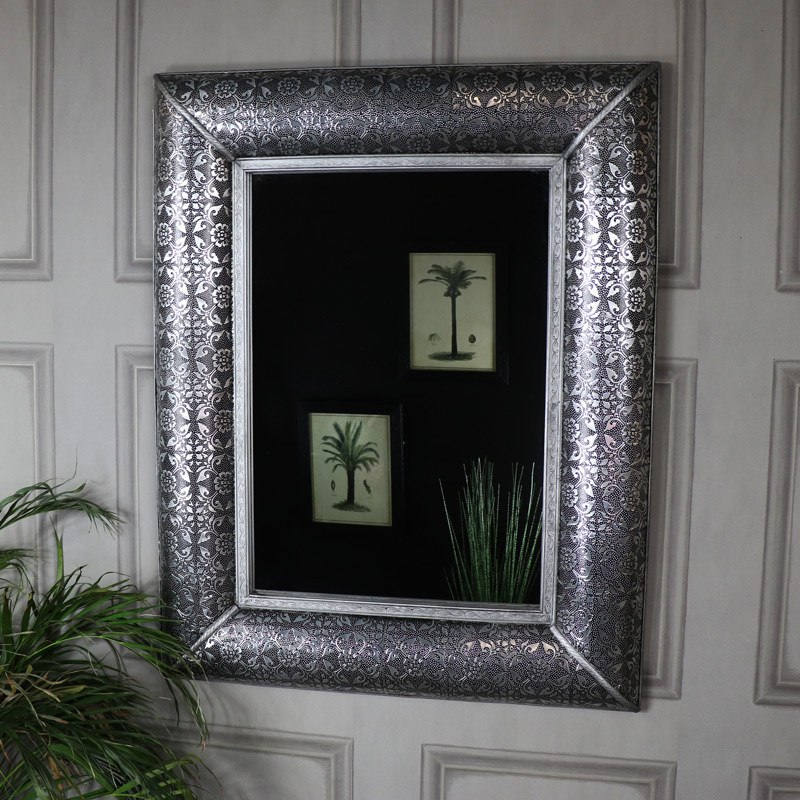 A large wall mirror embellished in a silver embossed design, reminiscent of the Moroccan style which will add a great contemporary look to your home. 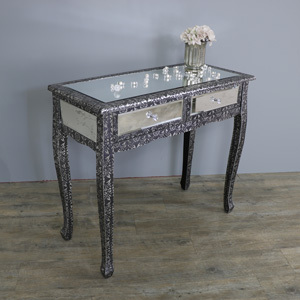 This mirror would look stunning hung on a living room or hallway wall and can be hung in portrait or landscape position. 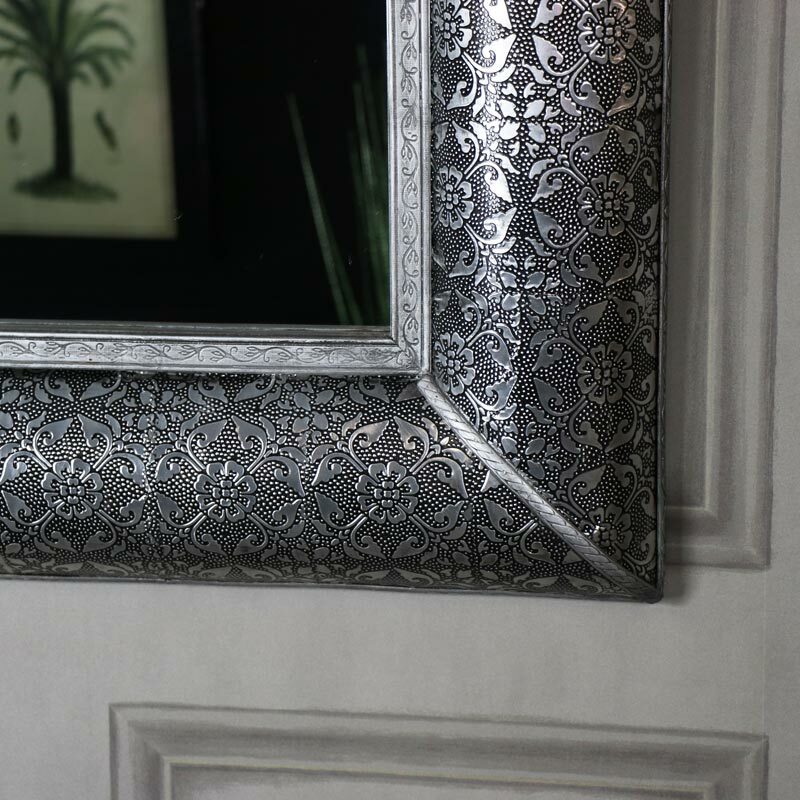 This large wall mirror is from our stunning Monique Range. 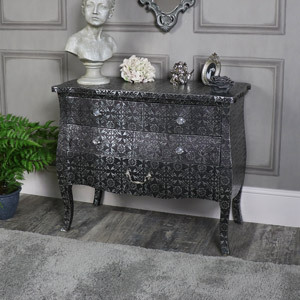 In a silver metallic, embossed design that embraces the Moroccan theme and will add a unique and elegant look to a living room or hallway. 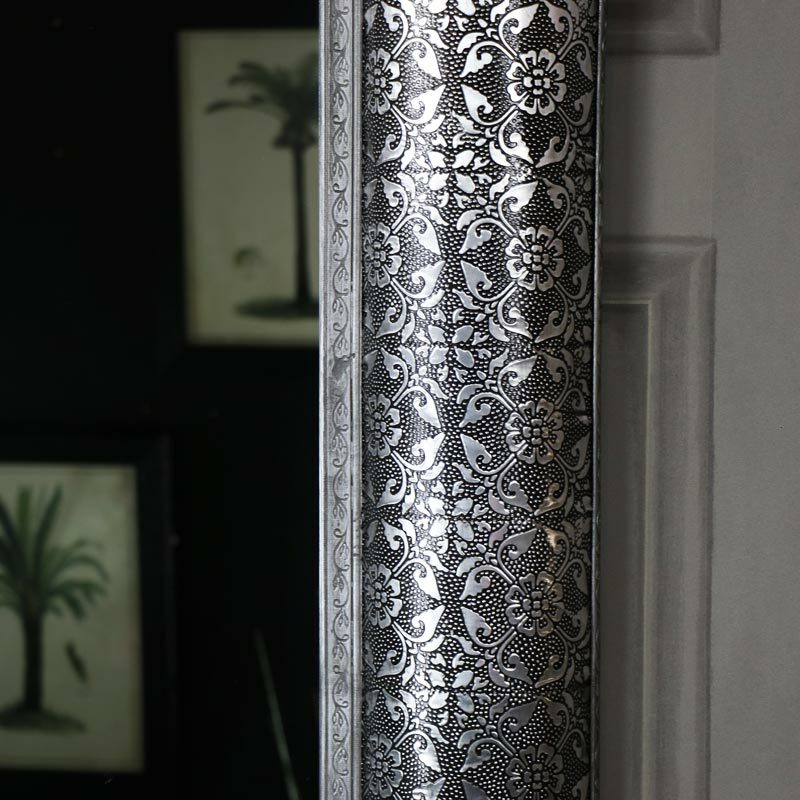 A large wall mirror embellished in a silver embossed design, reminiscent of the Moroccan style which will add a great contemporary look to your home. This mirror would look stunning hung on a living room or hallway wall and can be hung in portrait or landscape position. 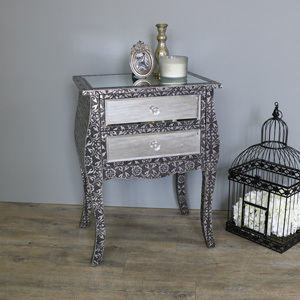 The frame is made from wood and covered in a metallic silver and black finish. Easily wall mounted with 3 metal hooks on the back for whichever way you chose to hang and weighs 14.5 kg. 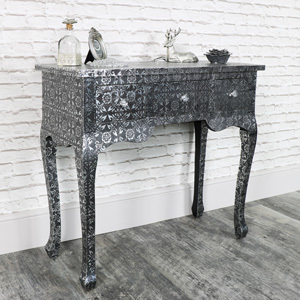 The Moroccan look is great for adding a unique and eye catching look to your home. 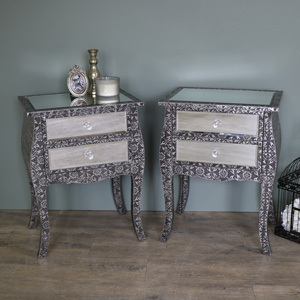 Beautifully vibrant and stylish, we also have furniture in this range that will allow you to add more of this style to your decor.